Metabolism is the process through which your body transforms the food you eat into energy. The basal metabolic rate (BMR) of your body helps maintain basic functions, such as cell renewal and repair, blood circulation, breathing and a hormonal balance, when you are resting. Several things influence your basal metabolic rate, including age, gender, weight, height, body composition and your diet. The faster your metabolic rate, the more energetic and active you are! However, if your metabolic rate is slow, you may face some serious issues like fatigue, high cholesterol, muscle weakness, dry skin, weight gain, swollen joints, heavy menstrual discharge, depression and a slow heart rate. It is important that you boost your metabolism to keep your body healthy. While it is true that metabolism is partly ruled by genetics, there are many ways to rev it up naturally. One way to do this is by eating foods that are known to help boost metabolism. 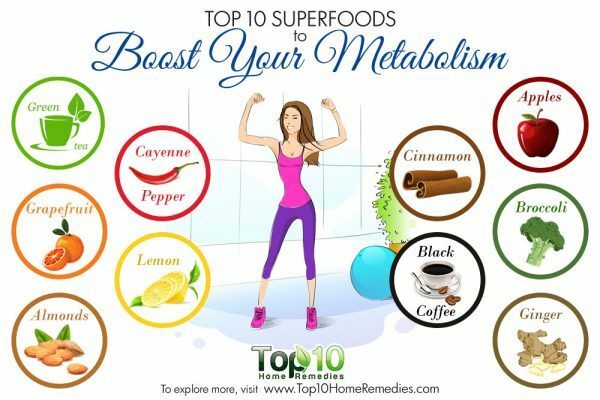 Here are the top 10 superfoods to boost your metabolism. Lemons are an excellent food source for giving your metabolism an overdrive. 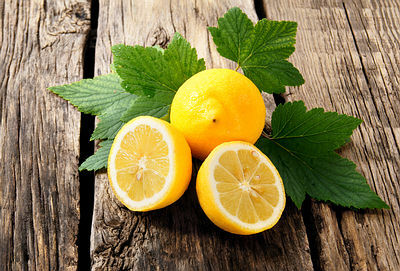 Lemons help in detoxifying your liver and cleansing the digestive system. The enzymes and vitamin C in lemons help in clearing toxins from the body by turning them into compounds that are eliminated from the body in the form of waste. This ultimately helps in improving your metabolic function. Squeeze the juice of ½ lemon in a glass of warm water and drink it daily in the morning on an empty stomach to give a boost to your metabolism. You can also include lemons in your regular diet to flavor your food and also derive its health benefits. When talking of metabolism boosters, green tea is one of the best superfoods. Loaded with antioxidants and polyphenols, green tea aids in improving your body’s metabolic activity. A 1999 study published in the American Journal of Clinical Nutrition reports that green tea has thermogenic properties and promotes fat oxidation beyond that explained by its caffeine content per se. Later, a 2010 study published in Physiology & Behavior found green tea to be an effective strategy for weight loss and weight maintenance. The antioxidants in the form of caffeine and catechins in it help increase energy expenditure and counteract the decrease in metabolic rate that is present during weight loss. The University of Maryland Medical Center recommends drinking 2 to 3 cups of green tea daily to improve the metabolic activity of your body. 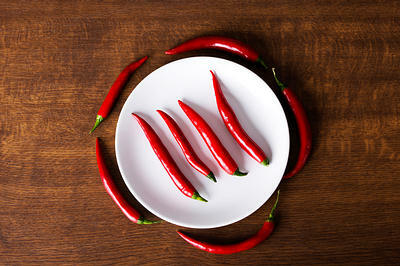 Cayenne pepper contains a compound known as capsaicin that has a positive impact on your body’s metabolic rate. Capsaicin has thermogenic properties that help cells convert energy into heat. A 2008 study published in the Journal of Biological Chemistry reports that capsaicin is associated with an increase in thermogenesis, which boosts body temperature and metabolism. A 2011 study published in the Oxford Journal Chemical Senses substantiates the statement that capsaicin induces thermogenesis, thus helping in weight management. Capsaicin enhances the activity of proteins inside fat cells that help break down fat, according to a study published in the Journal of Proteome Research in 2010. Researchers found that subjects fed a high-fat diet with capsaicin experienced greater decreases in body fat compared to the non-capsaicin group. Another 2012 study published in Appetite found that cayenne pepper intake has potential benefit for weight management in three main areas – increased energy expenditure, increased lipid oxidation and reduced appetite. Another 2013 study published in PLOS ONE shows that as much as 2.56 milligrams (mg) of capsaicin helps in promoting fat oxidation in the body. 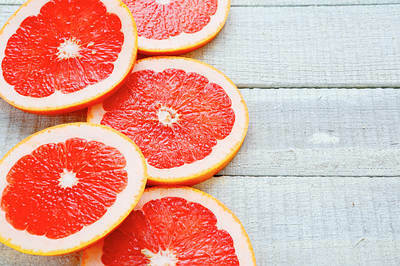 Grapefruits are rich in vitamin C that aids in improving the function of your metabolic system. Vitamin C regulates fat metabolism and aids in fat-burning. Grapefruits also contain naringenin, a flavonoid, that has excellent antioxidant properties required for metabolism. Naringenin helps lower insulin levels in the blood. This in turn leads to balanced blood sugar levels and improved metabolism. A 2006 study published in the Journal of Medicinal Food shows that obese people who included grapefruit, grapefruit juice and grapefruit capsules in their diet experienced significant weight loss at different levels. Insulin resistance was improved with fresh grapefruit. Another study published in Nutrition and Metabolism in 2011 showed that combining a low-calorie diet with a glass of grapefruit juice or a snack of whole grapefruit has positive effects on energy balance, weight loss and body composition. There is also significantly greater benefits in lipid profiles. For improved metabolism and quick weight loss, eat more fresh grapefruit with its fleshy white membranes or drink grapefruit juice with a high amount of pulp. Note: As grapefruit juice and whole grapefruits can interact with certain prescription and nonprescription drugs, it is recommended to consult a doctor before including this fruit in your diet. While an apple a day is healthy in many ways, it can even give a boost to your metabolism and help you lose weight. Low in calories and rich in soluble fiber, apples are excellent for those wanting to speed up their metabolism. Its fiber content also aids in digestion and bowel movement. In fact, the fiber in apple keeps cells from absorbing fat and also encourages water absorption. This in turn helps remove fat deposits from the body, ensuring a boost to metabolic activity. Plus, it helps you feel satiated for longer, preventing hunger pangs that lead to impulsive eating choices. 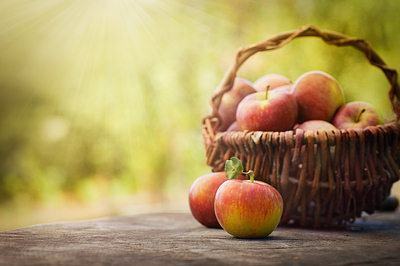 A 2009 study published in Appetite states that increasing levels of dietary fiber by eating a whole apple before a meal can be an effective strategy for increasing satiety and decreasing energy intake at a meal. Additionally, the several B vitamins as well as vitamin K, potassium, magnesium and manganese in apples work together to turn fats, carbohydrates and protein that you consume throughout the day into energy. Green apples are particularly beneficial for boosting your metabolism. Another common kitchen ingredient that can give a boost to your metabolism is ginger. It has thermogenic qualities, which means its intake can slightly increase body temperature. This rise in body temperature is linked to a higher metabolic rate. Being a vasodilator, ginger helps increase the diameter of small arteries and improve blood circulation. Increased blood flow and circulation is known to cause an increase in body temperature, which in turn promotes metabolism and helps your body burn more calories. Plus, ginger helps increase the feeling of satisfaction so that you eat less and burn calories faster. A 2009 study published in Life Sciences found that ginger may have beneficial effects on fat metabolism and may help decrease the amount of visceral fat. Regular ginger intake can even limit the potential adverse effects of a diet high in cholesterol. 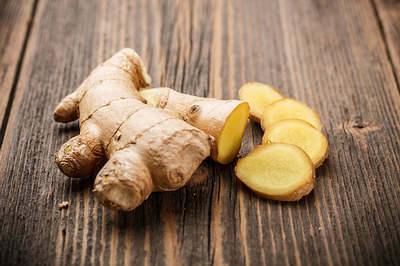 A 2012 study published in Metabolism shows enhanced thermogenesis and reduced feelings of hunger with ginger consumption, thus suggesting a potential role of ginger in weight management. Additional studies are necessary to confirm these findings. The metabolism-boosting activity of coffee is derived from caffeine, a psychoactive central nervous system stimulant that works to improve your body’s metabolic rate. Caffeine blocks the inhibitory neurotransmitter adenosine and increases the release of neurotransmitters like dopamine and norepinephrine. These neurotransmitters help improve metabolism and release fat from the body. According to a 1980 study published in the American Journal of Clinical Nutrition, after eating a meal, coffee has immediate effects on your metabolism, especially on your fat oxidation. Further, a 2004 study in the same journal determined that after a 4.5 mg per pound dose of caffeine, the metabolism rate went up by 13 percent. 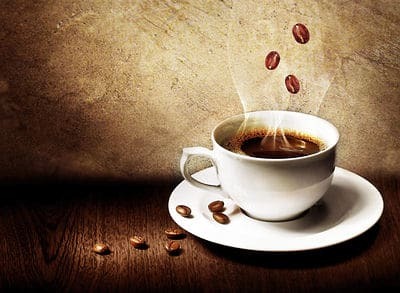 A 2006 study in the same journal observed that coffee may increase thermogenesis, in part by increasing fat oxidation. Another 2010 study published in Food Science and Biotechnology explains that caffeine works to break down fat by stimulating the nervous system. This signals fat cells to break down fat. In a review published in 2011 in Obesity Reviews, researchers examined six such studies and found that caffeine supplementation increases body’s energy expenditure over a period of 24 hours. As too much caffeine can be counterproductive, it is recommended to drink just 2 to 3 cups of coffee a day. Cinnamon is a delicious way to speed up your metabolism and lose weight. Apart from being low in calories, cinnamon is rich in antioxidants and phytochemicals that help speed up your metabolism rate. This natural blood sugar stabilizer contains Type A procyanidins, a type of flavonoid that is effective in controlling insulin, transporting glucose to your cells and promoting synthesis of glycogen in the body. Cinnamon contains methylhydroxychalcone (MHCP), a polymer that is responsible for improved glucose levels in the body. MHCP enhances the effects of insulin in the cells by stimulating uptake of glucose into the cells, which improves glycogen synthesis and results in increased insulin sensitivity of the body. Increased insulin sensitivity results in decreased body fat. A 2003 study published in Diabetes Care reports that cinnamon helps improve blood sugar, and lowers cholesterol and triglyceride levels in people who have diabetes. A 2010 study in the Journal of Diabetes Science and Technology asserts that cinnamon and components of cinnamon have beneficial effects on essentially all of the factors associated with metabolic syndrome, including insulin sensitivity, antioxidants, lipids, glucose, blood pressure, inflammation and body weight. Another study published in the International Journal of Preventative Medicine in 2012 investigated the effects of cinnamon in people with Type 2 diabetes and found that cinnamon may help promote weight loss. 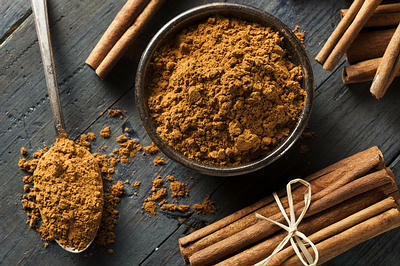 Experts recommend consuming 1 to 3 grams (½ to 1 teaspoon) of cinnamon daily for 20 days to improve your metabolism. You may also consume it every other day, as the effects of cinnamon last for up to a day following a single dose. Eating almonds can result in an increase in your body’s energy expenditure. Although almonds are high in calories, they are packed with essential omega-3 fatty acids that are great metabolism boosters. These fatty acids reduce the production of a hormone known as leptin, a natural chemical that lowers your metabolism. A 2007 study published in the British Journal of Nutrition found that daily consumption of almonds does not cause subjects to gain weight. This effect was attributed to its high fiber content. Another 2007 study published in Metabolism reports that in addition to lowering serum cholesterol levels, almonds may also reduce the glycemic impact of carbohydrate foods with which they are eaten. 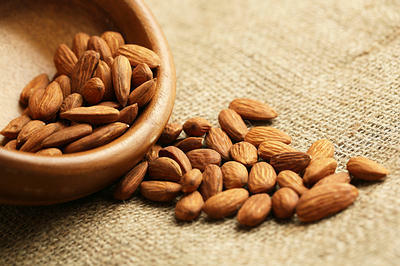 As almonds are rich in protein value, they aid in burning more calories after their consumption. However, do not eat almonds in excess. Just a handful of soaked or dry-roasted almonds daily is enough. 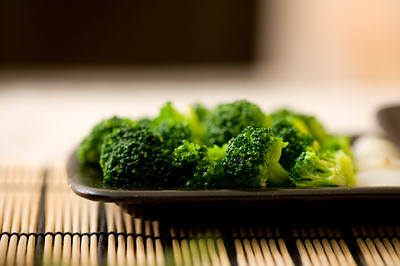 Broccoli is one of those miraculous vegetables that help improve metabolic activity in your body. It is rich in calcium and vitamin C, both of the essential components for an improved metabolism. Calcium acts as a trigger for boosting metabolism, while vitamin C aids better absorption of calcium. Further, broccoli is packed with phytochemicals that accelerate the breakdown of fat in the cells thus ridding the body of excess deposits. Rich in folate, dietary fiber, omega-3 fatty acids, magnesium and vitamins C, K, B6 and B12, broccoli helps burn fat without adding extra calories. Adding 1 to 1½ cups of raw or cooked broccoli to your diet daily is effective for improving metabolism and promoting weight loss.